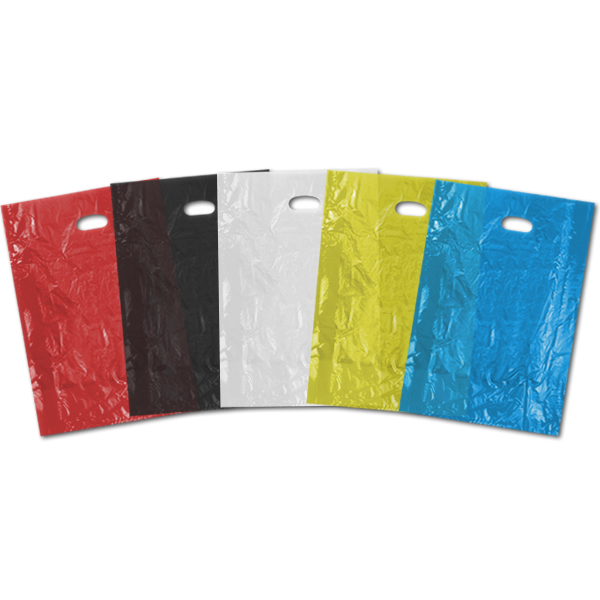 Strong High Density Colored Merchandise Bags with handles are made from a 18 micron high density plastic and can hold all your merchandise. 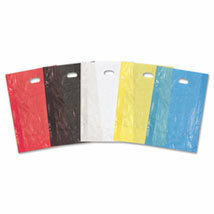 These Plastic Merchandise bags are 100% recyclable. Combine any 4 cartons of bags to get the 4 carton price.